For many women, choosing and purchasing a wedding dress is the biggest fashion investment they will make in their life. Yet, it’s a garment that is usually worn just once, and then stored away at the back of our closets, only to be taken out and paraded in front of our bedroom mirrors on those rare nostalgic days. For many, it seems a shame not to be able to make use of our bridal wear. Enter in social enterprise, Brides Do Good, who offer women the chance to buy their dream dress whilst knowing that their investment will generate a positive social return, as up to two thirds of the proceeds from each dress sold will be donated to charities that combat child marriage worldwide. Since 2016, Brides Do Good have funded projects in Egypt, Ethiopia and Nigeria working with charity partners such as Plan International and Too Young to Wed.
And if the philanthropic USP wasn’t enough, the dresses are sold at discounted prices, and donated from some of the top names in the industry including Elie Saab, Galia Lahav, Vera Wang and Valentino. The boutique has over 400 dresses, from mermaid fit to ball gown, crystal embellished to ornate lace and there is no compromise or style, fit or decoration. Prices range from £500 to £5000 and stock sizes 4 to 30, with each dress available immediately. 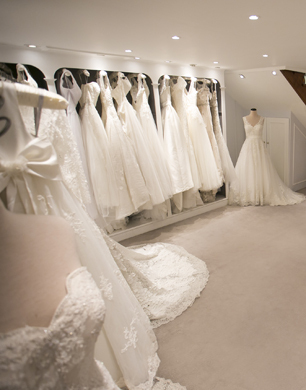 And if you need alterations or want to personalise your dress, the lovely team at Brides Do Good will help you through the whole process to ensure you create your dream dress. Brides Do Good’s first London pop-up is housed in an elegant and intimate Mayfair location and managed by a truly lovely and proficient team, who make the whole experience an absolute luxury. As a bride to be, I can honestly say that the entire process, from booking an appointment to being greeted with champagne and trying on my favourite dresses, was a dream. There is no rushing, no pushing and no pressure, just a romantic and special moment, from start to finish. The pop-up is running until the 30th of November and while there is no charge to browse, a fee of £20 is required to book a dress fitting, of which 100% is donated to the charity projects.